Salinity is a natural feature of the basin. It refers to the concentration of dissolved salts in water or soil and comes from ancient ocean sediments, the weathering of rocks and rainfall over millions of years. This natural feature is noticeable when we look at salt deposits in the basin. Take, for instance, the groundwater systems close to the River Murray — they hold more than 100,000 million tonnes of salt. 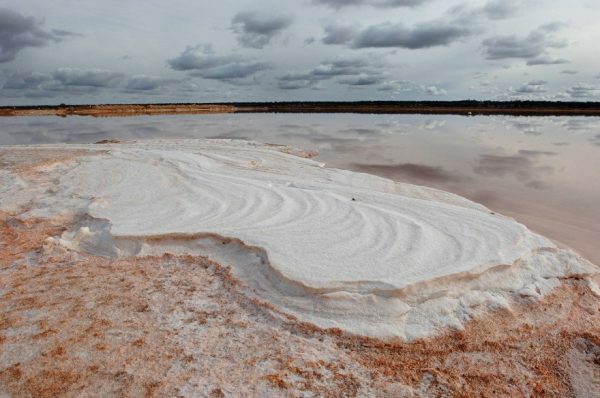 While salt does accumulate naturally in the basin, human activities often exacerbate salt mobilisation, causing it to concentrate in certain parts of the landscape. So what sort of effect does too much salt have on the basin and how can it be mitigated? Salt interception scheme at Buronga in New South Wales. Photo by Arthur Mostead. If salinity is not managed appropriately it has serious implications for water quality, plant growth, biodiversity, land productivity and the supply of water for critical human needs. Excessive salinity can affect ecosystem health, reduce drinking water quality and cause economic loss in irrigated agriculture. The natural process for removing salt from the basin is for salt to flow right through to the Murray Mouth and out to the ocean. This is why it is important to keep the Mouth open. But even this natural process isn’t enough to discharge all of the salt. 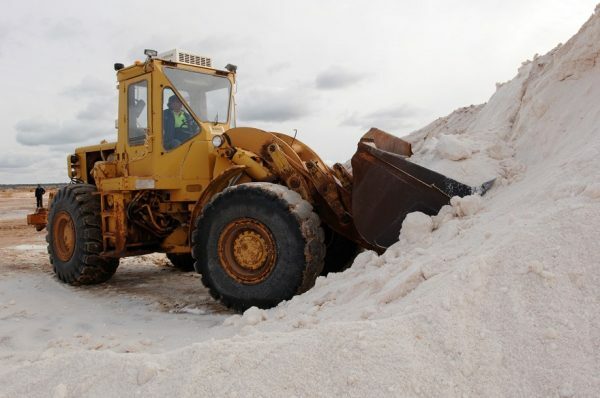 So other processes are in place to prevent the build-up of salt from occurring, which work in conjunction with the Basin salinity management 2030 strategy. There are currently 18 salt interception schemes in operation, which divert more than half a million tonnes of salt away from the river each year. Salt inception schemes are large pumping systems that divert saline groundwater and drainage water before it enters a river system. A bore and pump system takes the groundwater and deposits it into a salt basin away from the river. Other strategies are also used in the basin to reduce salinity. These include improving on-farm systems used by irrigators, timed water releases to provide salinity dilution and planting deep rooting vegetation to reduce groundwater recharge. Despite the salt being removed, it still remains useful to the local economy. In some areas of the basin, when the water evaporates, crystallised salt is left on the surface. This salt is then harvested to be used for products including table salt, fertiliser and in agriculture. Salt being harvested in Buronga in New South Wales. Photo by Arthur Mostead.